Natural, outdoor engagement photos taken in the peak aspen colors in Golden Gate Park, Colorado. Engagement and wedding photography is my main specialty and I love to capture what Colorado has to offer at any time of year. 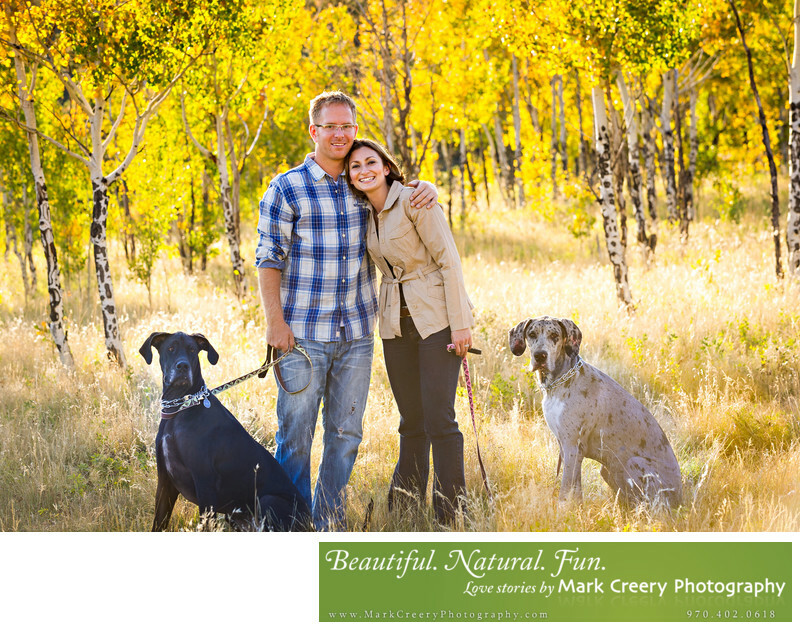 Here the couple and their two energetic dogs went for a walk in the aspen groves to capture a beautiful family portrait. Location: Golden Gate Park, Colorado.